We are in love with the ever-sunny Canary Islands, but they do have a reputation for being a bit… brash. It’s true that if you want a holiday with lively bars and hangover curing breakfasts you can definitely find it. But there are also plenty of peaceful resorts that sometimes fly under the radar. From beaches on the unspoilt islands of La Palma and La Gomera to tucked away gems on Tenerife, these are our favourite small resorts on the Canary Islands. 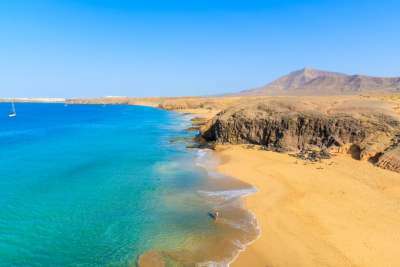 Despite being known to have some of the best beaches in the Canaries, Fuerteventura is among the quieter islands. And to really get away from the crowds you just need to cross to the island's north-west coast. Here you can stay in the still working fishing village of El Cotillo with access to miles of unspoiled white-sand beaches and lagoons. 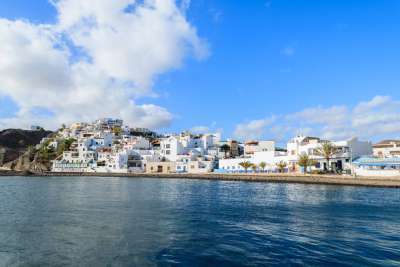 The area is popular with windsurfers, and has developed to suit a more independent tourist with a blend of open-air sculptures, hippy market stalls and local tapas joints. 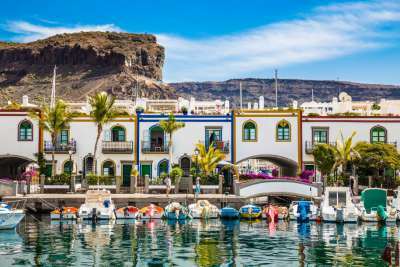 The pretty coastal town of Garachico is up there on the day-trip destinations of Tenerife, but instead of a flying visit why not stay and explore the cobbled streets at your leisure? The main attraction is the sea water rock pools. Instead of beaches you can jump straight into the water and swim through these natural volcano formed channels. Despite a fraught history that includes plagues, volcanic eruptions and floods, Garachico's charm is undeniable. Just wander the whitewashed town with its historic central plaza and old monasteries - and see if you can find the monument to the 17th century wine rebellion. La Gomera is one of the smallest Canaries, and also one of the least visited. The lack of an international airport keeps visitor numbers down, though it is a pretty simple boat journey over from Tenerife. Playa de Santiago on the south coast is a delightful fishing village which happens to also be one of the sunniest spots on the island. Head here for a very laid-back holiday, stopping in at the cafe bars and swimming in the calm waters protected behind a jetty. If you want more activity you can day trip to the island capital San Sebastian. Puerto Mogan's local nickname is Little Venice. There's only one canal, but there's no denying that it runs through a pretty resort, built from low-rise apartments and adorned with bougainvillea and swaying palm trees. The town sits behind a sheltered bay of golden sand and an upmarket marina. Snorkelling around the breakwater is a popular activity, as is simply strolling around the traffic-free town centre, discovering hidden boutiques and crossing the canal's Italian-style footbridges. This small fishing village on Tenerife offers a real hideaway, with just a handful of bars and fish restaurants. Small pebbly coves and ladders bolted into the rocks allow you to swim and snorkel in the crystal sea, and rough trails along the coast lead you to a hippy bay. 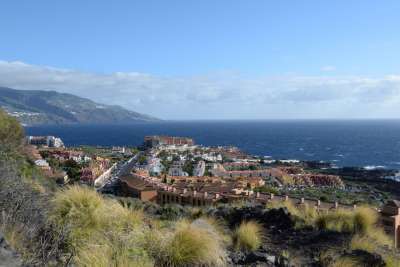 Yet this is just a 10 minute walk from the edge of Playa de las Americas, one of Tenerife's largest resorts. Locals worry the larger neighbour will gradually absorb La Caleta, but right now it's a great destination if you want to enjoy a holiday in sleepy surroundings - with lively parties within strolling distance. 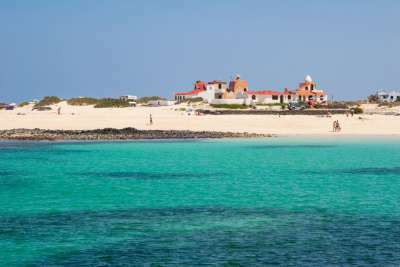 If you want to see one of Fuerteventura's traditional coastal towns try Las Playitas. This small town of white-and-blue striped houses sits adjacent to a long stretch of volcanic black-sand beach. It's a quiet holiday setting, where you can watch fishermen set off from the beach each morning. But you will find bars and restaurants in town, and the beach has facilities for kayaking and surfing. Plus you're close to some stunning natural surroundings with the mountainous area of Cuchillos de Vigán next door, and you can visit the moorish La Entallada lighthouse. 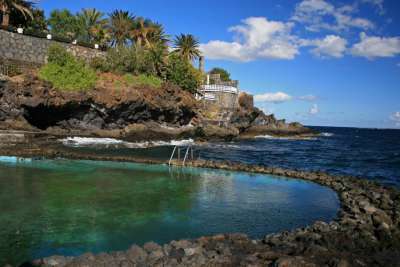 It's easy to find small holiday resorts on peaceful La Palma. But if you're looking for one of the island's best beaches, try Los Cancajos. There's a triplet of black-sand bays here, so you can pick your level of seclusion. Closer to town the beach has umbrellas and sun loungers, or walk just 10 minutes along the boardwalk to find yourself alone with the sand and sea. The resort itself has more than enough tavernas and fish restaurants, but you're also just a 10-minute drive from the island capital Santa Cruz de La Palma. If you're looking for the sort of beach resort that has all the essential holiday fun facilities - but not the crowds - you'll find it at Playa del Cura on Gran Canaria's south coast. 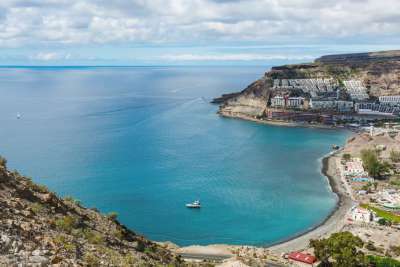 Though this small beach town is well-known to anyone familiar with Gran Canaria, it doesn't attract the sort of crowds headed to Puerto Rico just along the coast. There are two beach coves, both featuring the Canaries natural dark sand and backed by sheltering cliffs. And the best bit is you can almost always grab a spare lounger on them! OK, so we can't claim Playa Blanca as a small resort. However its isolation on the southern tip of Lanzarote and low density of development mean it feels more laid back than most. You get three beaches to pick from, including the Blue Flag Playa Blanca, which means there's always space. And that's before we mention spectacular silky sands of the Papagayo beaches nearby... The marina and its attached upmarket shopping centre bring a sophisticated air, where you can sip a cocktail in chic bars. Or head to the seafront promenade for fresh seafood eateries. 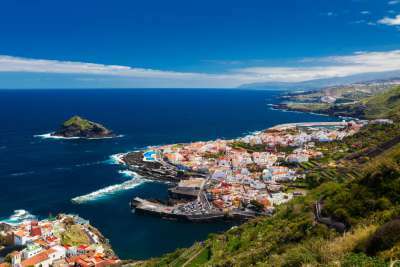 There's plenty of unspoilt Tenerife to go around in the north of the island, like the sleepy town of Las Caletillas on the north-east coast. The beaches consist of black sand and dark pebbles with some decking areas for sunbathing. There's lots of low key places to stop on the cafe-lined promenade, and as an authentic Spanish town, you can expect some delicious local specialities in the restaurants and bars that line the main street.